An art curator’s main duties consist of acquiring, collecting, and cataloging works of art, as well as ensuring their overall care. He/she is also involved in research, as he/she writes articles, may prepare and give lectures. Equally, an art curator organizes displays and exhibitions: this involves installing the art works and objects, negotiating the loans of items from other institutions, writing the documents such as labels, interpretative materials as well as information panels. Art curators must have a general knowledge of art, as well as an in-depth, specialist expertise in art history. Someone looking to work for a museum specializing in Contemporary Art for instance, naturally must possess an extensive knowledge of this particular subject. Art curators are also expected to have excellent relationship-building skills in order to create and nurture partnerships with other institutions, artists and collectors. Event management is a core skill required for organizing exhibitions and working with all the actors involved in the project: the artists, exhibition designer, conservator, registrar, partner institutions, etc. 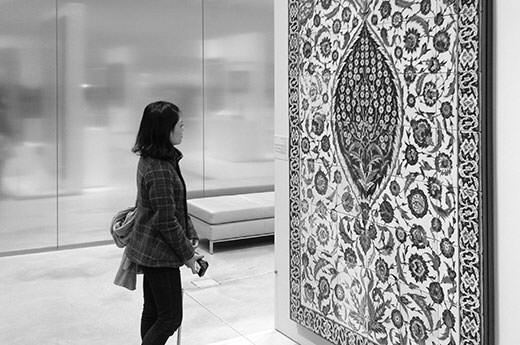 While not being their main activity, art curators can also work on marketing projects to promote their institution’s events: selecting pictures for both online and offline displays for instance. If you are passionate about art and you wish to start a career in arts management, do investigate IESA's art business programs. IESA is dedicated to equipping its students with the professional skill set and knowledge to become art curators. Some of IESA's alumni are now working as art curators. To know more feel free to read the testimonials of our graduates.